Most wedding photographers think about photographing the dress, the bouquet, and the wedding rings, but what about the shoes? Many wedding guests may not even notice wedding shoes; afterall, the bride’s shoes are typically hidden beneath her dress. But, there’s a good chance the bride took her time finding the perfect shoes to compliment her dress and match her wedding colors. Wedding shoes are a detail that should be captured in photos. If the bride chooses to capture photos of shoes off the foot, there are some fun ways to do that as well. Like almost everything in wedding photography, the look of wedding shoe photos, ultimately, comes down to personal preference. There are more ideas for wedding shoe photos than are shown here. What’s your favorite look? 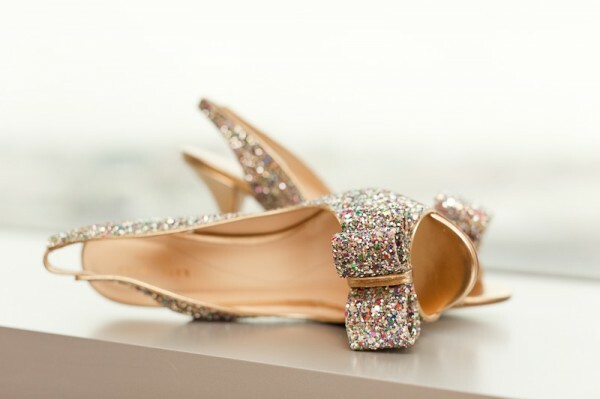 Beautiful wedding shoes. I love the green one. It's unique and the color is great. Thumbs up for sharing this post to us. retty good post. I just stumbled upon your blog and wanted to say that I have really enjoyed reading your blog posts.